McDonald’s will launch its mobile order and pay service in 20,000 restaurants in “some of our largest markets including the US” by the end of 2017, with the fast food giant aiming to enhance its digital capabilities and the use of technology to “dramatically elevate the customer experience” and “unlock meaningful growth and increase guest counts”. “McDonald’s is accelerating digital capabilities and enhancing its use of technology in restaurants, in the drive-thru and on the go,” the company said during its Investor Day event in Chicago earlier this month. “Inside the restaurants, McDonald’s is bringing greater control, convenience and personalisation to our customers through the use of kiosks to place orders. Customers can place their order and skip the front counter entirely, with their food brought right to their table. 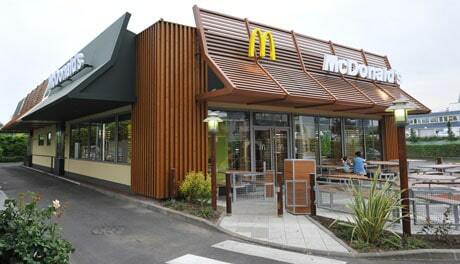 “The same enhanced experience will be available outside the restaurant, too,” McDonald’s adds. “By enabling mobile order and pay through the McDonald’s app, customers can personalise their order while skipping the drive-thru line and instead choosing curbside delivery. “If customers choose the drive-thru, they will simply read the already placed order code to the crew and their mobile order will be ready for pickup at the window. These more efficient enhancements will speed up the process and allow more customers to pass through our drive-thrus. McDonald’s revealed its plans to launch a mobile order and pay service in up to 25,000 restaurants worldwide by the end of 2018 in November 2016, with plans to accelerate its digital efforts in its top 10 markets by investing in-store and in its mobile app. “We have fundamentally changed the trajectory of our business over the past two years,” says McDonald’s president and CEO Steve Easterbrook. “Now, we are fit for purpose, ready to build on our momentum and transition to focus our efforts on profitable, long-term growth. “To deliver sustained growth, we have to attract more customers, more often. Our greatest opportunities reside at the very heart of our brand — our food, value and the customer experience.